The dictionary that doubles as a learning tool. Houhou is a free Japanese-English dictionary application. But there's more! Looking up Kanji and words is good. Actually learning them as you go is a hundred times better. With Houhou, whatever you are looking up, you can bet that you won't forget it! Find the kanji you are looking for. In two seconds. 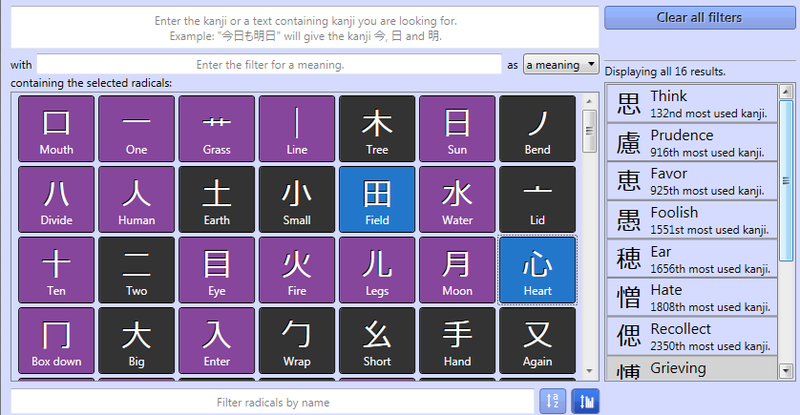 Like pretty much any dictionary application out there, Houhou embeds a kanji lookup system. Unlike pretty much any dictionary application out there, Houhou wants you to find your kanji quickly. Houhou wants to be the most convenient kanji lookup tool. Want to try? Explore our connected word dictionary! 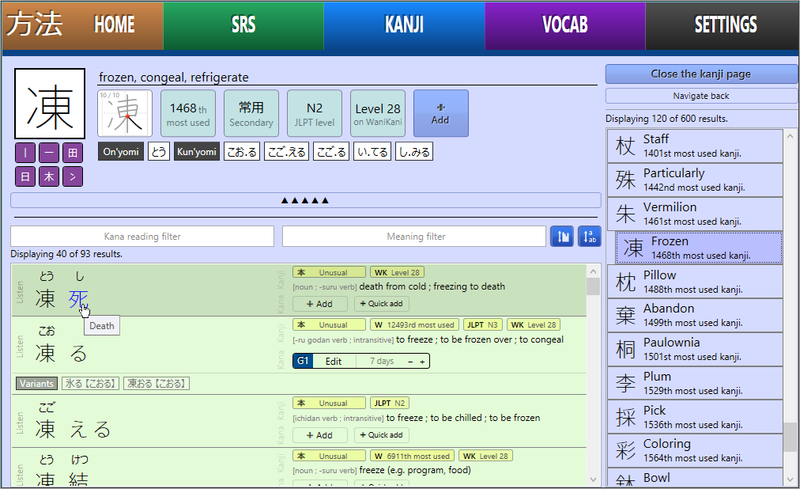 Houhou's word dictionary works in pair with the kanji lookup system. Not sure about the kanji in that word? Hover it with your mouse and its meanings appear instantly. Want more info? Click the kanji to get all the details! Houhou's word dictionary is designed to let you explore words. And here is the best! A system that just won't let you forget. Looking up words is good, but you know what's better? Not having to look up words. You know, because you already know them. In Houhou, you can decide to learn any word or kanji that you look up, just by clicking a button. Houhou will handle the rest, and make sure everything stays in your long-term memory. Build up your vocabulary knowledge, day after day. Never look up twice. You will feel awesome. Houhou is available for Windows Vista and above. Houhou is an open-source project. You can access its public repository on GitHub. If you like what I am doing and would like to support the project, please donate! If you have any question, issue, remark, feedback, please contact me.